4. for SHCJ and those who love Cornelia Connelly, to remember how devoted Cornelia Connelly was to Francis. 1. Francis of Assisi is known for his practice of poverty and concern for the poor, his efforts for peace, and his love of all creation. His Canticle of Brother Sun praises all God’s creatures, calling them Brother and Sister – and “our Sister Mother Earth.” Pope Francis’ choice of this saint’s name was very deliberate. But it is a difficult journey, if we do not learn to grow in love for this world of ours. Here too, it helps me to think of the name of Francis, who teaches us profound respect for the whole of creation and the protection of our environment, which all too often, instead of using for the good, we exploit greedily, to one another’s detriment. Build leadership for future efforts to integrate Catholic values of environmental care and outreach to the poor. – a “TED” talk by James Balog, the science photographer behind the documentary film Chasing Ice, who documented some of the most vivid evidence yet of climate change. I am happy to note that I included highlights from the PAS statement in the video “Time for an Energy Change” (https://ecospiritualityresources.com/media) as well as in the Lent programs for Air 2012, Water 2014, and Air 2015 (https://ecospiritualityresources.com/lent). In their declaration, PAS calls on all people and nations to recognize the serious and potentially irreversible impacts of global warming caused by the anthropogenic emissions of greenhouse gases and other pollutants, and by changes in forests, wetlands, grasslands, and other land uses. During the 2012 Lent Air session at St. Gertrude, Chicago, participants were overwhelmingly surprised and elated that the Church was highlighting this issue. They discussed the content with obvious commitment. I can easily imagine that Cornelia would rejoice in all efforts — by anyone — to reduce carbon emissions and thus reduce climate change, one of the major needs of our times that harms and threatens so many. She also would have made the connections of resource scarcity, environmental refugees, and wars. 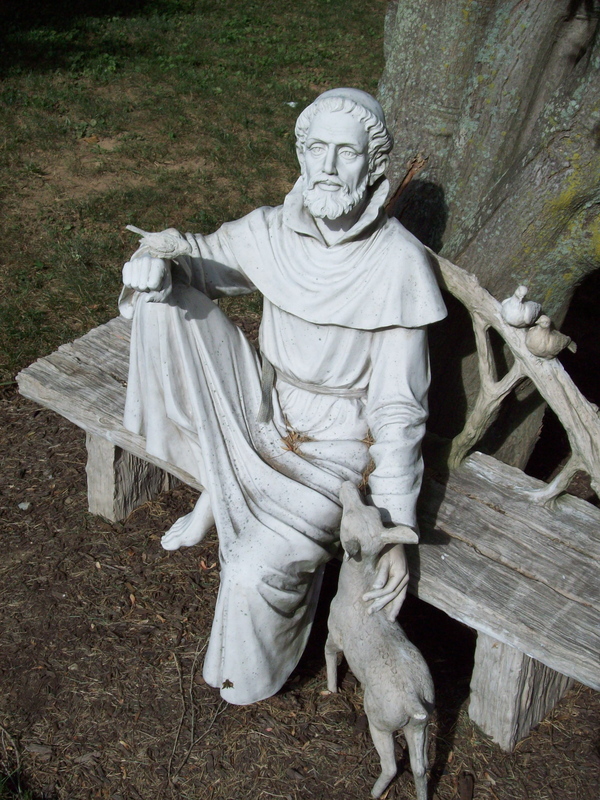 ~ If he were alive today, how might St. Frances advocate celebrating October 4th? ~ How can you connect the issues above with celebrating Francis’ feast day?